It was another truly terrifying day for the global economy, in which events moved at a dizzying speed. First, Spain’s borrowing costs surged beyond 7 per cent – a level that is widely considered unsustainable, and which has already triggered full-scale bailouts in Greece and Ireland. Then, at home, Sir Mervyn King delivered a speech that many judged to be the gravest by a Bank of England governor in living memory, in which he warned of the chaos in the eurozone creating ‘the paralysing effect of uncertainty’. Indeed, Sir Mervyn, speaking grimly of storm clouds gathering rapidly overhead, said the situation was so dire that he and George Osborne had agreed to take emergency action ‘within weeks’. He and the Chancellor then proceeded to announce details of two schemes designed to pump 140billion into Britain’s banks over the next 12 months. 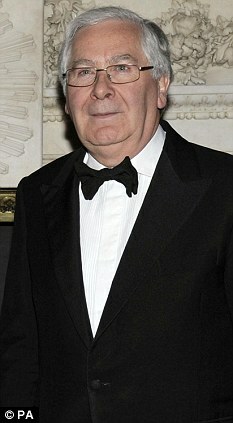 The idea is for the banks to hand Sir Mervyn their assets. In return, he will loan them money at hugely reduced rates for them to pass on to businesses struggling to stay afloat and families who want to buy or re-mortgage homes. Without question, it is a desperate attempt to avoid Britain being gripped by a credit crunch – and, with the eurozone edging ever closer to disaster, both Sir Mervyn and Mr Osborne left the country in no doubt that these are hugely perilous times. Yet where was the Prime Minister yesterday, when these bold measures – so lacking from the Queen’s Speech and March Budget – were being unveiled? 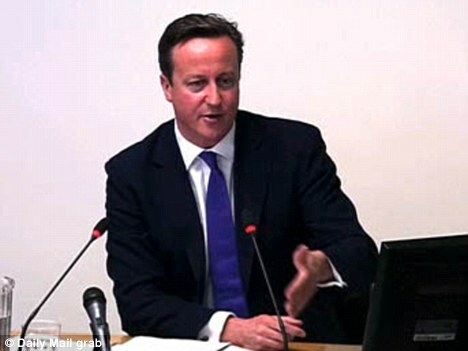 For an entire day, David Cameron was on the witness stand at the Leveson Inquiry, answering questions about his errors of judgment in becoming so close to Rebekah Brooks, the appointment of Andy Coulson as the Downing Street director of communications and the handling of Rupert Murdoch’s BSkyB bid. But, in fairness, the Prime Minister took the opportunity to make encouraging noises about the freedom of the Press and the dangers of statutory regulation. The real question, however, is for how much longer Westminster’s energy can continue to be sapped by a Press standards inquiry now entering its ninth month, which has questioned every senior member of the Cabinet, including the Chancellor – not to mention the past three prime ministers? If financial disaster is to be averted, our political leaders must move on, with their minds focused remorselessly on the economy and implementing the radical kickstart plan unveiled by Sir Mervyn and Mr Osborne last night. There is too much at stake for any more distractions from what really matters to a British public fearful of losing their homes and their livelihoods. Yesterday it emerged that burglars, drug dealers and violent thugs who should have been sent to jail had been freed back on to the streets wearing electronic tags instead. Duly, six out of ten breached the terms of their conditions – not least by committing sickening new offences. When it comes to minor motoring offences, however, the authorities wish to see no mercy – with cash-raising 90 fines now planned for remaining in the motorway middle lane for too long, or using the wrong lane at a roundabout. Truly, our justice system has a warped sense of priorities. Would these be the very same banks which have just awarded record bonuses to senior management for their performance? In Barclays case, disgustingly and immorally, bonuses twice as much as shareholder dividends. The stcok market is no higher than 5yrs ago but coropate fat cats are, in their apalling greed, awarding themselves record renumeration while the middle classes and working classes real incomes decline. The underclass , of course , continues to have billions of our money thrown at it. Get a grip Cameron. 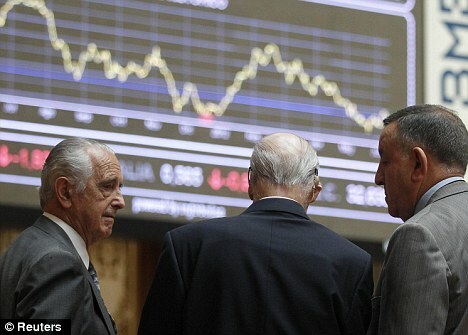 Just take a look at Argentina after it left the dollar and learn the lesson! Eventually some bright spark in Europe will come up with the brilliant answer to all the financial ills troubling you. Governments should actually stop borrowing money every single day to pay for recurrent expenditure. perhaps this fiscal genius might actually work out that taxes should actually pay for this expenditure, and debt should be reserved for infrastructure spending with a future payoff in increased economic activity generating higher revenues to then pay off the debt. It is that simple, yet no European will acknowledge this truth. Every European wants someone to give their government more money so it can be spent on them. Get real. Osborne claims the Eurozone is preventing our economic recovery. Yes, yes, yes. It is. So get the hell out of it, you numpty. You have made the best argument for leaving it - but you don't even realise it. We are shackled to a corpse. Get our markets going again in Asia, Australia, Canada, worldwide - and ensure OUR competence in trade deals. You haven't even admitted to the great British Public that you have handed over all trading competences to the EU so that they make decision on our behalf. You have agreed to strip Britain of its own responsibility in worldwide trade. In fact, what the hell do we pay you and chummy Cameron for? You are both nothing more than branch managers for the HQ in Brussels. In fact why don't you both clear off and make way for Nigel Farage, who has a better grasp of realpolitiks than either of you will ever have. Britain has to Square the Circle with Europe as if the Nordic Industrial Europe realign the New Euro will be undervalued,Britain will then have to find markets for 50% of its exports. The Pound being 3 X overprinted with a 10 pound sign on one side and a 30 pound Tax Free sign on the other side from the 200+Offshore Banking Tax Havens Worldwide,the people working for the 10 pound paying the Tax and shortfall of the 30 Pound revenues along with being the underwriters of the discrepancy of Debt and Deficit of the Nation.Britain is presiding over a dual currency which is Overprinted and Under Regulated and over Taxed at home, and a Tax Free Casino in its Offshore Banking Havens.In this light Britain should realize it is neither 'Fish nor Fowl' to the Dollar or Euro,and only 10% of its G.D.P. is in Manufacturing so a collapse of the Euro could trigger a slump,a depression or even a Trade War,Isolationism and Protectionism,which is the way its going. Tax Evasion ,Avoidance and Speculation. For God's sake Merkel it's over, face it. We have to get on with an organised dismantling of the EU and of course the Euro before the inevitable happens. We're into damage limitation. Politicians are under the delusion that it they who decide our financial future. Wrong, it's THE MARKETS who have the whip hand. If they are not convinced, it doesn't matter what the politicians do. Spain is the perfect example of this. They secure a loan agreement from the European Central Bank for 100bn, but the markets aren't convinced, and Spain's credit rating is now at rock bottom and they can't borrow money at a sustainable rate. Hopefully Greece will vote to reject the latest austerity measures this weekend, come to their senses, and get out of the Euro. In the short term they will suffer, but with the help of the IMF and a parachute payment from the Eurozone, they will become solvent again. At the moment I wouldn't holiday there, but get the drachma back and I'll be there like a shot. I would look after my own FIRST and buy back the family silver everything must be going in Euro land at cut price - so buy up everything we virtually gave away! Get the killer instinct and look after our own like wild animals do. The Leveson Inquiry is rapidly developing into a circus. Time wrap it up and move on! No Daily Mail. wahat matters to the public is honesty and integrity from both our politicians AND our press. You may not like the inquiry but you brought it on yourselves by abuse of power. Cameron can well spend a day in front of Levenson and deal with other more pressing matters. All you are trying to do is draw attention from Levenson. So put a sock in it.